At Something Extra Preschool & Childcare we believe that knowledge is gained by active exploration. We encourage active play in areas that interest children. We believe that children are wise, thoughtful, and reflective. Our philosophy is to not only trust our students to make these leaps in insight, but give them a safe space to do so. A comfortable, thriving environment will truly bring out the best in your child! We must prepare our children for the changes ahead even when we can’t predict them. Our children must become empowered thinkers in order to meet the world that awaits them. By using active learning experiences, we help children produce ideas of their own. 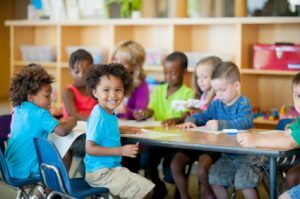 We work closely with the Sacramento County Department of Education (SCOE) in the Quality Rating Improvement System and with Child Action to make sure we have the latest tools and resources available so that children at Something Extra have the best start possible. The staff at Something Extra Preschool & Childcare works hard to provide an environment in which these active learning experiences are available while the children have fun and build great friendships. 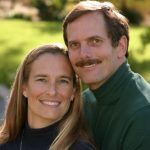 Our ownership team has more than 35 years experience in California child care, with owners John and Jamie Throckmorton having been with the school since 1992! Collectively, the Something Extra Preschool staff has close to 50 years experience in the child care industry. Our team's primary goal is to help your child grow mentally, physically and socially. They become life-long learners under our care. 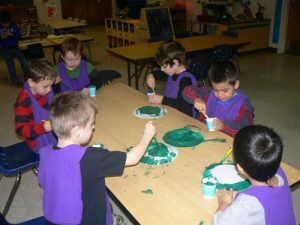 Something Extra Preschool offers a safe, rich, and developmentally rewarding environment for your child. We offer infant, toddler, preschool, and prekindergarten programs to help your child grow in a caring environment. We encourage active exploration and hands on learning to prepare your child for the demands of kindergarten today. Our programs are built to fit your family. Parents don't always have schedules which follow the typical Monday through Friday 9-5. So we offer flexible preschool and daycare schedules to fit your needs providing care for Infants, Toddlers, Preschool and PreKindergarten children. Something Extra's center is open Monday through Friday from 6:30 a.m. to 6:00 p.m. excluding holidays. Come in and find out how we can help your child grow while helping you with your busy schedule. Something Extra is conveniently located near Dudley Elementary and serving the communities of Antelope, Roseville, North Highlands, Elverta, and the surrounding area with easy access to I-80. We encourage you to come visit us at our school in Antelope and see how we can help you by taking care of your precious child and help your child prepare for life ahead.